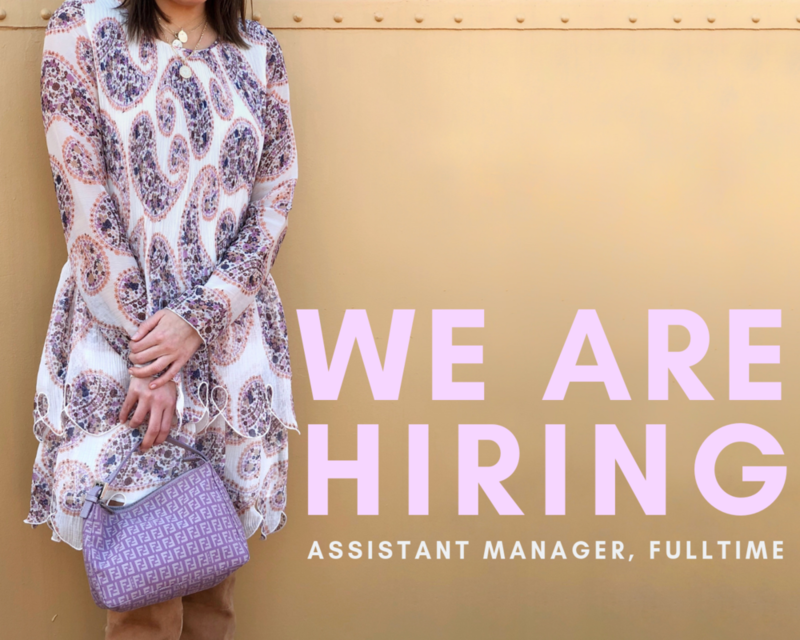 Otra Vez is hiring a full-time assistant manager who is passionate about fashion, organization, and productivity. This is a long term position; we are hoping to hire someone who will want to help us grow our small business. We are looking for someone who can assist with managing our sales team, creating visually attractive displays, monitor sales goals, and build relationships with our clientele. Overall, someone who wants to contribute to a positive atmosphere that is fun, professional, and team oriented!